A free event for queer and allied families. Bring a picnic and enjoy a relaxed entertainment line-up of local performers in the iconic Botanic Gardens. A youth and young at heart hīkoi along the waterfront to Civic Square to open Out in the Park. Celebrate pride with our diverse community. Accessible route. All ages from bubs to seniors welcome. 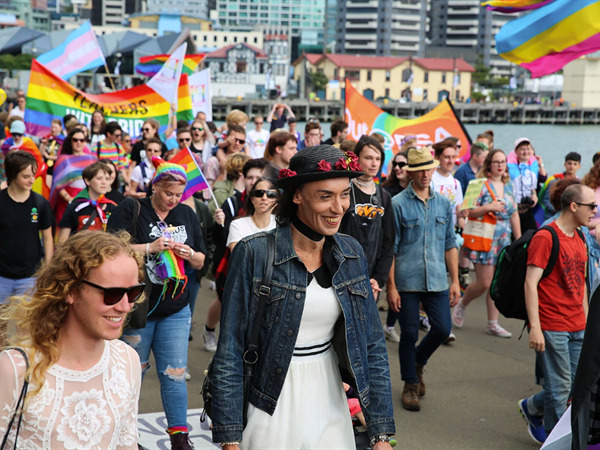 Wellington's Queer Fair since 1986 - Celebrate diversity and take pride in our queer community. Stalls, activities, food and free all-day entertainment with talented local performers: drag kings, queens and in-between, musicians, singers, dancers and comedians.